Fact or Fiction: „The R-value tells me how much energy my house will use, right?“ R-value measures the resistance a material has to heat transfer, this much is true. R-value alone, however, does not fully describe the energy performance of a building. Everyone in the ICF community knows that ICF buildings far outperform framed buildings with comparable stated R-values in terms of energy efficiency and comfort level, but why is that? Let’s look at the main factors affecting actual energy performance of a building: Thermal Conduction, Convection, Radiation & Mass. Thermal Conduction is the heat transfer through a material by contact of one molecule to the next. This is the only factor an R-value measures. We have all heard builders claim to build „R-13“ or „R-21“ walls with wood frame construction. The problem is that only the highest rated component in the wall – the insulation itself – performs at these stated R-values. A wood frame wall is made up of several components, not all of which have the same R-value. For instance, a 2×4 or 2×6 stud has an R-value of about R-5 or R-7. Every 16 inches or so, one of these components breaks the insulation layer and forms a „thermal bridge„, conducting heat through the walls at high rates in addition to being a major cause of mold in standard construction. Adding up the area of studs, plates, and headers, 12% to 16% of the total wall area is an R-5 or R-7 thermal bridge, all detracting from the stated R-value. 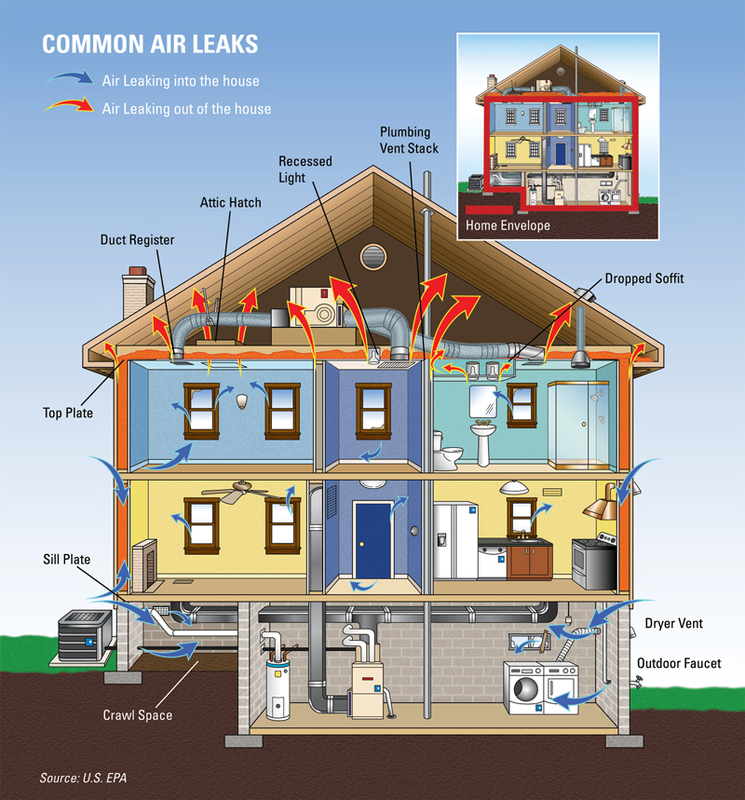 In addition, batt insulation tends to sag over time and leave spaces without any insulation! How can those builders claim only the highest-component R-value? From a whole-wall perspective, framed walls operate at far lower R-values – sometimes only half of the advertised value. ICF walls consist of a center cavity to contain concrete between two layers of EPS which provide two largely continuous layers of insulation rated at R-22 and higher. From a whole-wall perspective, an ICF wall actually lives up to the advertised R-values because thermal bridging is absent. Thermal Convection is heat transfer by movement of currents within fluids or gases. When considering energy performance of buildings, it’s the air moving between the inside and outside or „air infiltration„. A common measurement is ‚Air Changes per Hour‘ at a blower-door induced pressure differential of 50 Pascal (ACH50). US Energy Star standards for new homes require less than 4-7 ACH50. In comparison, Canadian R-2000 standards are 1.5 ACH50, and Swedish standards are 0.5 ACH50 or less. 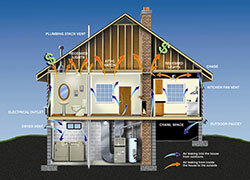 In wood frame buildings convection can be felt as drafts and is usually the biggest source of energy loss. 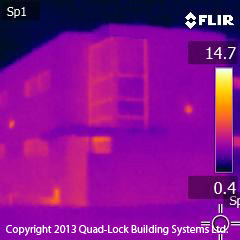 Air infiltration accounts for up to 40% of the energy losses of a wood framed structure. Energy escapes via conditioned air leaking through thousands of cracks, openings, and joints between all the „matchsticks“ of the building shell. Major culprits include framing connections, wall, floor & roof intersections, shrinkage of wood and caulking, and poor installation of components and sealants. A typical new wood frame home has between 1.75 and 3 air changes per hour (ACH50) and after some years it’s often between 5 and 10 ACH50 as the wood shrinks and sealants deteriorate. Old wood frame homes commonly have 10 to 20 ACH50. ICF walls & roofs are an effective air (and vapour) barrier because the concrete is solid without passages for air to leak, thus eliminating a major percentage of air infiltration. ICF buildings consistently get results of 0.5 to 2.5 ACH50 and less, largely depending on the installed roof type and sealing. Most air infiltration in an ICF home is through a conventional roof and around windows & doors, so pay attention to these areas, e.g. use Quad-Deck for the roof of the building. Adequate air exchange in very airtight buildings must be ensured, typically using mechanical ventilation. Mechanical ventilation can be combined with ‚heat/energy-recovery‘ units and/or ground heat exchangers for additional savings where conditions & budgets allow it. 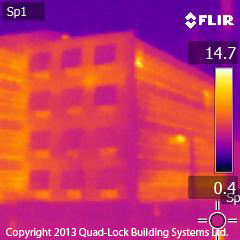 Thermal Radiation transfers heat via electromagnetic waves, which for buildings are mostly the sun’s rays. 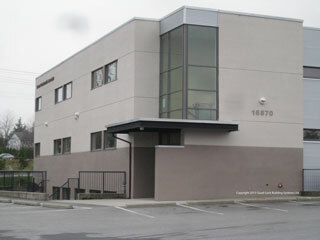 Depending on factors like site & location of the building and the prevailing climate, Passive Solar Building Design helps optimize a building’s absorption and reflection of solar radiation through solar orientation, placement of windows and shading elements, choice of finishes, and incorporation of thermal mass. Thermal Mass refers to a material’s capacity to store heat. Concrete and (Adobe) bricks have high thermal mass, which can act like a battery for heat. The classical use of thermal mass is in desert climates, where outside temperatures swing above inside temperatures during the day and below at night. High mass building shells can store the heat from the outside during the day and release some of that heat to the inside at night – keeping the inside comfortable using almost zero energy. In temperate climates, thermal mass is best used in combination with the principles of passive solar design, e.g. let the winter-sun heat high mass floors through windows. Wood frame buildings have almost no thermal mass – unless finished with brick, which is on the wrong side of the insulation to be effective. High mass construction built into ICF walls & floors can further reduce the requirements for active heating & cooling systems in some climates & projects. Another benefit is evident during power outages, when the interior temperature of ICF buildings takes days to change instead of hours. The charts on the last two pages of the study’s report illustrate that ICF walls provided an infinite instant R-Value, literally „off the chart“, for the first TWO DAYS, when the flimsy wood walls already reached their steady-state of around R-15. Then it took the ICF walls another 3 DAYS to go from R-90 to below R-50! And another 5-6 DAYS to finally reach steady-state of about R-24. All of the above translate into significant ongoing energy savings and savings from smaller sized HVAC equipment. „No – the R-value of one component alone does not tell you how your building will perform“. 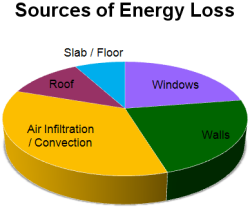 Remember, the Building Code is only a MINIMUM standard and there are many factors that influence actual energy performance. 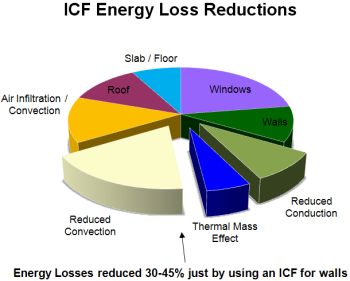 „Yes – ICF buildings far outperform framed buildings despite similar stated R-values“. The secret lies in thecombination of reduced conduction & convection, and high thermal mass. The result is a building with a lower appetite for energy and vastly improved comfort inside the building due to more consistent temperatures, lack of drafts, and superior sound absorption. Every building should be considered from a ‚whole system‘ perspective and designed using an integrated systems approach. Besides walls, roof and slab, windows also have a significant impact on performance since they usually make up 10% to 20% of the total wall area and range widely in energy performance. Energy Raters and some engineers & architects now offer energy modeling services that will paint a much more accurate picture of how your building will actually perform. 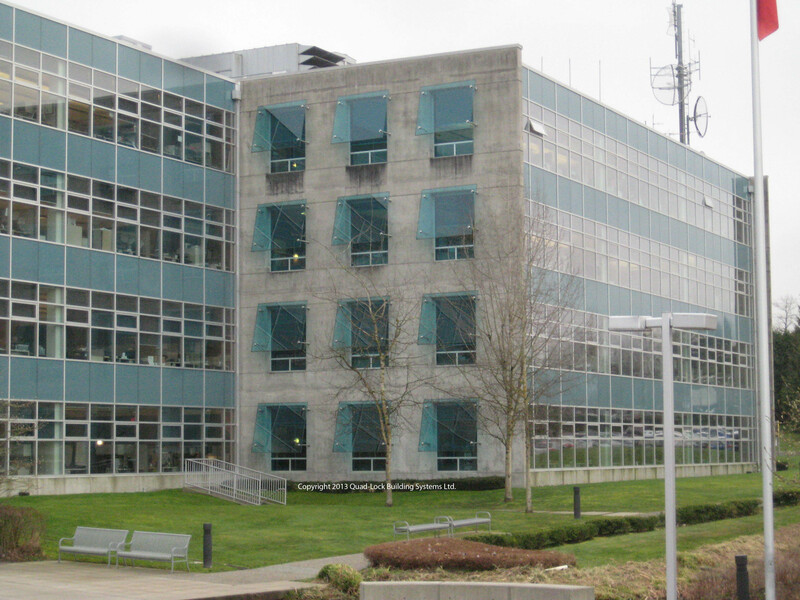 A small investment in a computer analysis helps in formulating the best-value design of a building to save tens of thousands in energy costs, even hundreds of thousands for larger buildings, over a building’s lifetime. The images of these two nearby buildings were taken on the same winter day. The Quad-Lock church is largely cool outside due to the efficient walls and efficient windows. 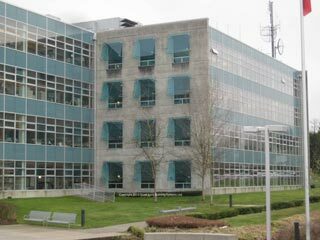 The conventional building’s walls are almost as warm (light) as its windows – they are heating the environment and we can almost see the dollar bills being thrown out the windows. Next StoryHOMEAUTOMATION – Does it really make sense?